Hello! Welcome to Taylored Expressions August Release Day! We are releasing 12 new stamp sets and 16 new dies! All products are available in the store NOW! Before you head over to do some shopping, I have one more project to show you. Today I made a set of tags using Apple Stacklets and Apple Stems & Seed. 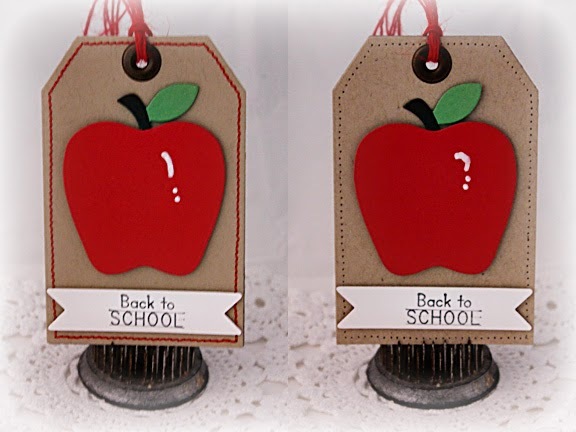 Each tag has a die cut apple (I added the white highlights with a Sharpie paint pen). The sentiments are from Mischief Maker - Back to School. Accessories: Taylored Dies: Apple Stacklets, Apple Stems & Seed, Label It, Tag Stacklets 2 (TE); White paint pen (Sharpie), Red twine (May Arts), Eyelets, Foam tape, Thread, Sewing machine. LoVe the tags, simple and elegant. Thanks for the inspiration. Darling tags Spethanie. Love those big apples. The red stitching looks great around the tag. 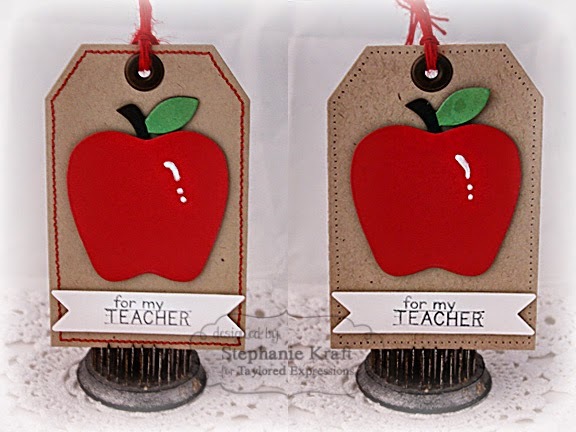 Super cute tags Stephanie! Your red stitching adds the perfect touch! 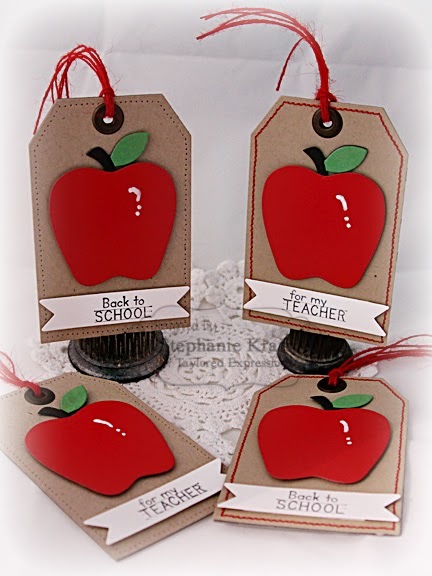 These are such fabulous tags, Stephanie!